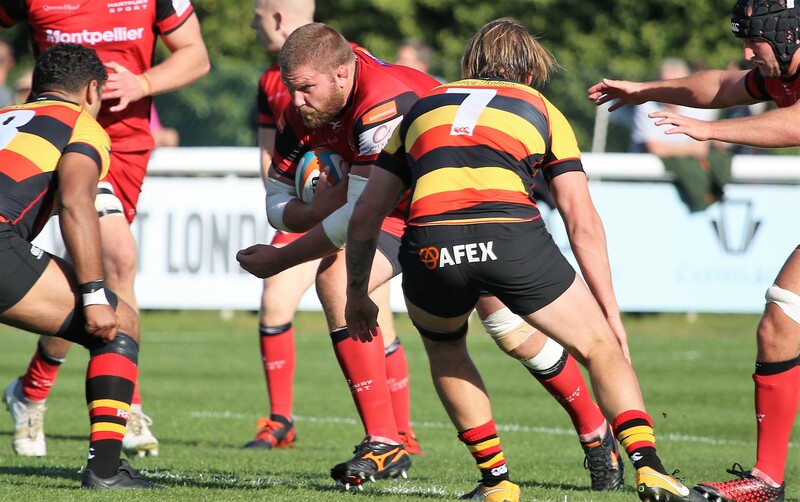 Having narrowly lost, away from home, to a strong Coventry outfit last Saturday, Hartpury are in decent shape going into what is certainly their most important game of the season, so far, when Richmond visit the Gillman’s Ground this Friday evening (7.45pm). There is no underestimating the importance of Friday’s match. Hartpury, bottom, currently lie exactly five points below their visitors. A win – better still with a bonus point – would see them close that gap and give themselves a chance of survival with seven games still to play. Defeat would leave Hartpury needing to produce a miracle. The drama will be played out in front of the Sky Sports cameras, as the broadcaster makes its first-ever visit to the Gillman’s Ground for a Championship fixture. Richmond are a team that Hartpury know well, having met several times in both the Championship and National 1 in recent seasons. Most recently, it has been the Surrey side that have had the upper hand, with two narrow victories in the 2017-18 season being followed up by a far more emphatic win, at the Athletic Ground back in September, despite an opening try from Hartpury’s Rupert Harden (pictured). The latter still ranks as Hartpury’s least inspiring performance of what has been a difficult season, and is not something that the coaches will want a repeat of on Friday. However, there were plenty of signs, against Coventry, that things are starting to look a little brighter – according to Head Coach, Mark Cornwell. Hartpury have frequently made use of loans and dual-registrations from local premiership clubs – what particular challenges does this raise from a coaching perspective? Looking ahead to Friday, Cornwell knows that whatever team he is able to field will need to produce a strong performance to get the result that the club so desperately needs. Player-wise, Cornwell is hopeful that Hartpury will be able to retain the majority of those who appeared at Coventry and, maybe, even add one or two for this important fixture. An announcement regarding the final composition of the match-day squad will be made at noon on Thursday.